Update! Amazon Corretto became Generally Available on January 31st, 2019. Amazon runs Corretto on thousands of production services. Patches and improvements in Corretto enable Amazon to address high-scale, real-world service concerns, meeting heavy performance and scalability demands. We’re making these available to customers with no-cost, long-term support, with quarterly updates including bug fixes and security patches. AWS will also provide urgent fixes to customers outside of the quarterly schedule. Corretto comes with support for multiple platforms, enabling you to run it in the cloud, on premises, and on your local machine. The Corretto 8 preview corresponding to OpenJDK 8 is available at this time for Amazon Linux 2, Microsoft Windows, and macOS platforms and Docker image. Preview builds can be downloaded by visiting aws.amazon.com/corretto. General Availability is planned for Q1 2019, and will also include Ubuntu and Red Hat Enterprise Linux platforms. Corretto 11 builds corresponding to Open JDK 11 on these platforms will follow with ample time for testing before April 2019. We run the Technology Compatibility Kit (TCK) on each Corretto release to ensure compatibility with the Java SE platform. Corretto is designed as a drop-in replacement for all Java SE distributions unless you’re using features not available in OpenJDK (e.g., Java Flight Recorder). Once Corretto binaries are installed on a host and correctly invoked to run your Java applications (e.g., on Linux, using alternatives), existing command-line options, tuning parameters, monitoring, and anything else in place will continue to work as before. Amazon will distribute security updates to Corretto 8 at no cost until at least June, 2023, and to Corretto 11 until at least August, 2024. 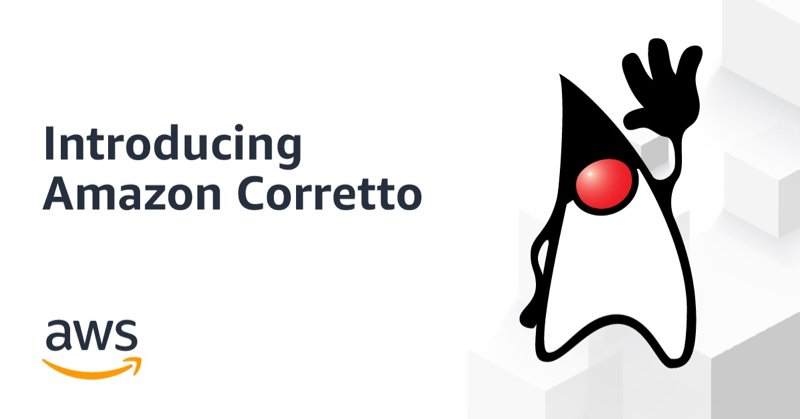 Corretto includes targeted backports from newer releases, as well as newly-developed enhancements from the OpenJDK community. The release process includes testing on thousands of Amazon services, which makes it possible for fixes to be released within days of finding issues. Getting Started provides a complete set of instructions on all supported platforms. Amazon has already made several contributions to OpenJDK 8 and we look forward to working closely with the OpenJDK community on future enhancements to OpenJDK 8 and 11. We downstream fixes made in OpenJDK, add enhancements based on our own experience and needs, and then produce Corretto builds. In case any upstreaming efforts for such patches is not successful, delayed, or not appropriate for OpenJDK project, we will provide them to our customers for as long as they add value. If an issue is solved a different way in OpenJDK, we will move to that solution as soon as it is safe to do so. You can find the source code for Corretto at github.com/corretto. We plan for Corretto to become the default OpenJDK on Amazon Linux 2 in 2019. We encourage you to run your Java applications using Corretto. Download Corretto 8 by visiting aws.amazon.com/corretto and learn more about it by reading the docs at docs.aws.amazon.com/corretto. Feel free to ask any questions on stackoverflow or Twitter (@awsopen).